Who doesn’t like to be loved? Or love to be liked? We certainly won’t complain if you love LIKE us a lot. 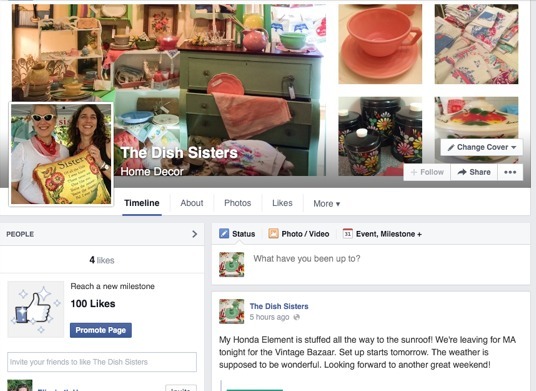 Yes, ma’am, we have finally stopped procrastinating and started a Dish Sisters Facebook page. Here’s the very first baby picture. We hope you’ll ‘oooooh!’ and ‘aaaaaah!’ just a little bit. Please stop by and say hello! Like us! Love us! Share our brand new baby page with your friends! We’ll be over the moon! And if you’re in Salisbury this weekend, why not come say hello in person? We’d love to meet you face to face! We will be over the moon and totally love you if you share us with your friends!